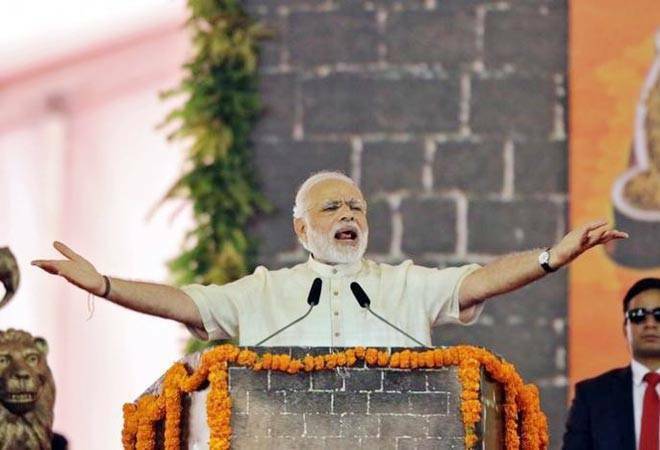 The Cabinet on Wednesday approved the Narendra Modi government's much touted 'Ayushman Bharat - National Health Protection Mission' (AB-NHPM), under which over 10 crore poor and vulnerable families of the country will get free health insurance benefits. The scheme was originally divided into two parts: the opening up of 1.5 lakh primary health and wellness centres and the launch of the National Health Protection Mission (NHPM), under which poor families will get Rs 5 lakh health cover per year. The Ayushman Bharat - National Health Protection Mission will subsume all the centrally-sponsored health schemes, including Rashtriya Swasthya Bima Yojana (RSBY) and the Senior Citizen Health Insurance Scheme (SCHIS). Once officially launched, the programme could provide a big boost to Prime Minister Modi-led BJP's election prospects in 2019 Lok Sabha polls. Also informally called as Modicare - on the lines of Obamacare launched in the US by former president Barack Obama - the Ayushman Bharat Scheme is considered as the biggest ever government-sponsored health scheme launched by any country so far. The scheme will benefit over 50 crore poor families living across India. The beneficiaries will be able to get free and cashless health insurance benefit at any public or private hospital across the country. Under the programme, the state health agencies will be responsible for the implementation of the NHPM at the local level. All payments under the scheme will be done in package rates; the move is aimed to reduce the costs, reported CNBC TV 18, adding that the government will also constitute the Ayushman Bharat Mission Council, which will be headed by the Union health minister. The council will guide the government on the matters related to the scheme. The Ayushman Bharat programme was announced in the General Budget this year. Prime Minister Narendra Modi had called it the biggest government-sponsored health scheme ever launched. "Ayushman Bharat will help 10 crore families in their medical need. This is the biggest ever government-sponsored health care programme in the world," he said. The Congress party, however, called it another 'jumla' by the Modi government. The Ayushman Bharat Scheme will focus on primary, secondary and tertiary care system as well as prevention and health promotion. For those in need of comprehensive secondary and tertiary care hospitalisation, the National Health Protection Mission will provide health insurance cover of Rs 5 lakh per family per year to over 40 per cent of the country's population.